Me and my drummer friend try to have some rehearsals and create music together. We have a basic equipment, but we can't get to the point where vocals would be loud enough to play with drums, without constant feedback. Now we want to upgrade our setup, but we don't know what would be the best choice. It is connected to the powermixer: LDM SKM-7c. The powermixer is set at about half volume, and produces feedback beyond it. It can be barely heard through the drums and we think that cranking it up to 3/4 should be enough. Would a better quality microphone like Shure SM58 eliminate feedback, or should we invest in some noise gate or try to find another mixer, or a preamp for a microphone. It's worth mention that our current mic doesn't seem to eliminate much of the sound coming from its sides. It's about 50% of volume compared to sound coming from its front and I guess the sound coming through the sides might increase the feedback massively. Does a better mic like SM58 eliminate it completely and only retrieve sound from its very front side? Our budget is max 150$ so we don't expect a godly quality, but we want to crank up the volume keeping the clean sound as much as we can in this budget. The Behringer XM1800s isn't a great mic. I bought some years ago when they first came out to see what they were like. It worked but they don't sound great or particularly clear. So a better mic would certainly help, but it's not your main problem. The LDM SKM-7c isn't a particularly well powered amp for vocals, especially when competing against a drummer, keyboards and guitars. Without external speakers, I'd guess that it's probably only producing 60W of mono output. Without buying anything new, I'd first try moving your setup round, so that the keyboards and the LDM positions are swapped. I'd also put the LDM up on a table (if it's not already) so that it's not at ground level. This will help increase the volume you hear. Don't feed the Line 6 amp. Whilst it will increase the volume, the amp doesn't have the flat frequency response that you need to hear the vocals cleanly. Adding more treble on the Line 6 will make the mic more likely to feed back. You really need something a lot more powerful for vocals. I'd be looking at a 10" or 12" active/powered PA speaker with at least a 300W rating. You do need a lot of power to get clean vocals across a full band's output. Also, putting it as far away but directly facing the rear of the mic will increase the volume level before feedback. The Alto range of PA speakers are normally available all over Europe, and I'd look around for a used TS110A or TS112A. These have a 600W internal amp. When new, these sold for around €250, so you should find a used one for €150 or less. They can go wrong, so make sure it works first! There are now newer models, but that makes the the used price less, and these were really good value for money and several people here used them. There are alternative makes of speaker out there, so if you do find something different that you can afford, then feel free to ask us about it, as there are also some quite bad speakers out there that should be avoided. You can plug a mic in directly to those Altos, though there is no EQ on the speaker itself. If this is a problem, then you could probably use the LDM and take a signal from that to the Alto, though you will be better off if you can then get a small mixer, ideally one with built-in reverb. Behringer produce quite a range of low-cost small mixers, and again, used, these are normally very cheap indeed. Yes, then look at a better microphone. The AKG D5 is often recommended as a better mic than the SM58 for less money. I probably wouldn't upgrade to anything less than something like that. I've been trying various cheap mics out recently - like the Fame mics from Music Store in Germany, to see how they compare to the SM57s and SM58s that they are normally based on (at least in looks) and most of them really are quite bad. So a mic is one item you need to spend a reasonable amount on to get good results. Avoid used SM57s or SM58s on eBay as there are so many Chinese fakes out there - and they are really bad! Elgirhath wrote: Would a better quality microphone like Shure SM58 eliminate feedback, or should we invest in some noise gate or try to find another mixer, or a preamp for a microphone. All Wonks say: find yourself a better mic and a better power amp. That said, a hard-hitting drummer and a guitar and vocals in small room it's always a tough situation. The obvious first -make sure the mich is behind the PA, so that the PA signal doesn't go directly into the mic. 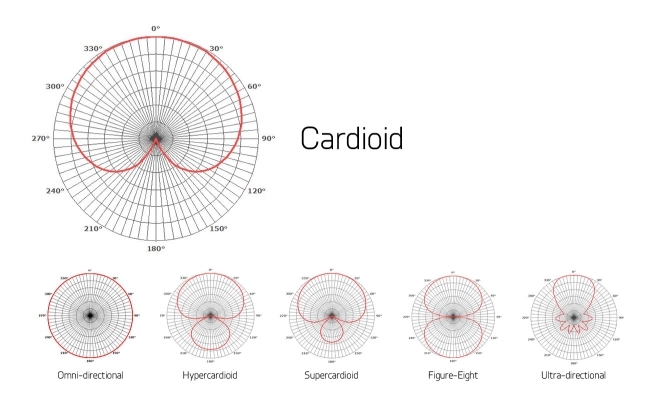 A supercardioid mic may help (but pay attention to the polar pattern at the various frequencies as some SC may have actually a bit of back capture pattern at certain ranges). A SC also make it harder to sing - you cannot eat the mic from the side as you would do with a 58. As I suppose the vocals are the only signal that goes thru the mixer, EQ so them so that you have a hi-pass as high as you can without noticing on your vocals, usually around 80Hz or so (when you feel your voice isn't coming out the way you think it should and you feel like making more effort to cut thru, it's too much). Reverb often worsens feedback so go easy. If you have a guitar amp, zero or lower the bass there as well. Then room treatment. If you can leave the kit rigged up, find the place in the room where your new mic feedbacks less (you move in steps systematically up and down from your position) and mark it on the floor. Avoid egg cartoons like the plague and try to reduce low freq energy with bass trapping (if you don't have a bass player, this is mainly the kick and toms) and reflections with good absorbent panels. You don't want the room dead, just reduce reflections especially on the wall behind and on the side of you and the mic. Some absorbent material also over the drum kit itself, if the space allows, can help. Getting clear, feedback free vocal projection in such a band situation is hard enough with the "right" kit. With that mish-mash of gear, not going to happen. Even with a top line PA rig, the others in the band must be made to understand that it is vocals that limit the level a band can put out and their volumes must reflect that. Drummers can hit less hard and guitarists back off a bit. There are other benefits. A lower overall SPL will make the music better, getting an integrated, balanced sound is what marks out GOOD musicianship. The sound man will also thank you! I assume that as this is a rehearsal room the PA is there to allow the musicians including the singer to hear the vocals? So getting the mic behind the speakers may be counter productive. Looking at the layout I think that you could change things around. I would set up the PA speakers behind the drummer so that everything is facing the singer. I assuming that the mic has a cardioid pickup pattern. If the singer faces the PA then you can make use of the null at the back of the mic (as you would with a set of monitors). Because the drummer will be just in front of the cabs everybody should be able to hear with the min of vol. This is how my band set up. All the other comments about turning down apply. Worth checking with the drummer to make sure that he's not hitting harder so that he can hear himself over the amplification. Thank you guys for your replies, I have to clarify our situation. Drummer already plays relatively quiet. We don't have a feedback while keeping the vocals at half of volume, but even though drummer plays quietly we can barely hear some sound from the speaker. I don't think we need more power in our amp. This one can be very loud when keyboard is connected and the only thing that stops us from going up with mic volume is the feedback. As I was browsing the internet I gathered some basic knowledge and so I put our speaker facing towards drummer and away from mic so that the speaker doesn't directly feed the mic. That's why I believe that putting the speaker behind drummer and towards mic would increase the feedback, but we will try it on the next occasion. Now, the limit of volume with clean sound is about 1/2 and we want to increase that limit as much as we can. We have some money, but we are not sure what should we look for first. speaker - Wonks advised investing into a better active speaker, but I'm afraid more power wouldn't get us further, as feedback would probably still limit us. Once more, thank you for the feedback (pun intended) and hope you guys will help us out! If you won't listen but think you know the answers, then how can we help you? Trust me. To get vocals clearly heard above a band you need a lot of power. A 40W Fender Hot Rod Deluxe amp turned right up could easily match the output from my 3kW Yamaha PA. You have a 60W amp. A keyboard has a much wider frequency band than a single voice and will always sound a lot louder given the same settings. You also can't compare the input level into a line input the same as a mic level into a mic input. The gain levels applied are very different. To get a small 60W keyboard amp to produce loud vocal levels means that you'll be pushing the vocals into at least partial distortion which will greatly increase the risk of feedback. But first, simply try moving the amp into different positions around the room. You need it facing into the room, and you need the connector end of the mic pointing at the amp. You should find a position where you can turn up the amp the loudest without getting feedback. The mic has a cardioid (which means heart-shaped) pickup pattern. So you point the opposite end of the mic towards the amp and it hardly picks up any sound from that direction. if you move the amp to the side of the mic, it picks up a lot more sound from it, which then gets amplified by the amp, which the mic then pics up and the amp then amplifies the already amplified sound. If the overall system gain is greater than 1, then the sound gets louder and louder with each pass round the loop and you get a feedback howl. Holding the mic correctly is important. It really is best if used on a stand with no one holding it. If it is hand-held, then it is important that you don't cup your hand around the back of the mic but hold the handle away from the mic grille. Cupping the mic around the grille covers the vents at the rear of the mic capsule that give it the cardioid pattern, which then makes it into an omni-pattern mic. You then lose all the rear-pointing noise rejection and you get feedback. Elgirhath wrote: Thank you guys for your replies, I have to clarify our situation. Drummer already plays relatively quiet.We don't have a feedback while keeping the vocals at half of volume, but even though drummer plays quietly we can barely hear some sound from the speaker. I don't think we need more power in our amp. This one can be very loud when keyboard is connected and the only thing that stops us from going up with mic volume is the feedback. You obviously have some understanding of what is going on and, as you suggest, feedback is often the limiting factor with foldback systems. But, the cure is usually as simple as positioning the mic and speakers better or even just turning everything down a bit. 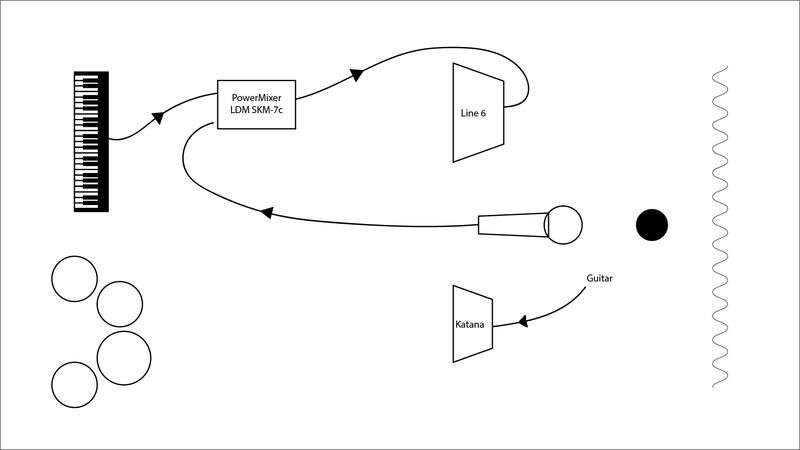 Using a graphic eq to control feedback is usually only necessary on very loud stages (and even there turning it down is invariably a better solution). As I was browsing the internet I gathered some basic knowledge and so I put our speaker facing towards drummer and away from mic so that the speaker doesn't directly feed the mic. Wonks is suggesting putting the speaker in the 'null' of the mic. What, I suspect, you are trying is putting the mic in the 'null' (or 'quiet area') of the speaker. For the sake of argument, if the speaker null and the mic null are equal (in attenuation at relevant frequencies) Wonky's suggestion would put the singer (and, potentially the rest of the band) in the area of the speakers maximum SPL. Your method puts the singer, at least, into the null of the speakers so he will not hear much of the vocals. Wonky's layout keeps the singer in the loud bit of the speakers coverage. The next step would be to hang a duvet behind the singer as many feedback issues are due to reflections off he wall behind the mics as from direct sound. It may be that you have tried all these possibilities and not found a solution, without being in your rehearsal room it is difficult to be sure what the solution is, but all the suggestions I have read up-thread have been sensible steps to try. Seriously. If this is just jamming / rehearsal, then get a small headphone amp and some long cables and plug in and enjoy yourself. By not amplifying things badly in a small or inappropriate space, you save yourself no end of pain. My main band uses a mixture of wired in ear monitoring and wedges for rehearsal and we have great sound. And our drummer also plays 'quiet' (actually he really does but loud and quiet are quite relative). another thing to try is to put the speakers on a different plane from the mics. i.e. put wedges on the floor rather than speakers on stands. This also goes to the "null" position from the mics perspective. Kudos for research, now experiment and experiment again! Elgirhath wrote: [*]speaker - Wonks advised investing into a better active speaker, but I'm afraid more power wouldn't get us further, as feedback would probably still limit us. Actually, more power will give you flexibility and it's a great suggestions as Wonks explains. There's the even more complex notion of the power requirements to reproduce sounds and the fact that it's an unequal distribution...lower frequencies take more energy to produce than high frequencies and the human ear is biased (non-linearly) towards the mids. From a PA's perspective, cramming all your instruments and vocals into an under powered amp will only emphasis the low end and as you turn up in a vain attempt to hear better, you lose clarity and create feedback in exactly the place you're striving to gain clarity.